Vaping has been a hot topic for parents and educators for some time now. 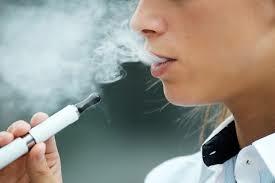 In fact, the Food and Drug Administration recently declared e-cigarette use by young people a national epidemic. ICAN has become involved with this topic through the Chandler Coalition on Youth Substance Abuse (CCYSA), which is one of our programs. We have an incredible task force through CCYSA that is comprised of representatives from public safety, healthcare, education, city government, and many more. This group recently got together to produce an informative video about vaping. You can view the video here, but I thought it would be beneficial to share some of the highlights, along with some interesting statistics about vaping. Many teens don’t realize that vaping devices contain nicotine. Most of them do, along with other dangerous chemicals. The Arizona Youth Survey is an anonymous survey given to a sample of middle school and high school every-other-year (48,000 students from 245 schools statewide). The data collected from AYS is critical information for organizations like CCYSA who are battling youth substance abuse. The 2018 AYS showed that 8thgrade use of e-cigarettes almost doubled from 2016 to 2018 – going from 8% use to 14% use. It also shows that 20% of all youth surveyed used an e-cigarette in the past 30 days. Commander Edward Upshaw of the Chandler Police Department shared that e-cigarettes and vaping products are illegal for someone to possess who is under the age of 18 and can result in a misdemeanor or petty offense and most certainly results in suspension from school. Dr. James Bogash shared that vaping releases heavy metals like lead and arsenic. Since vaping is relatively new, there is not a lot of data on the long-term health effects, but vaping has been shown to expose users to volatile compounds which cause cancer. Dr. Sandy Indermuhle, an ER Physician with Dignity Health, shares in the video that vaping compounds are very irritating for asthmatics and increases the rate of infection through the cells surrounding the lungs. Recent studies are showing that vaping actually leads to cigarette use in consumers, not the opposite, which is so widely publicized. Vaping often leads to use of wax pens, which are a similar instrument but hold liquid marijuana. The amount of THC in wax pens can be as high as 80%, which qualifies it as a controlled narcotic substance – classifying it as a felony offense. Many youth don’t realize the severity of a felony offense on one’s record – which can affect one’s credit, the ability to get a job and one’s permanent record. I highly encourage you to watch the video that CCYSA put together. There’s also a link to a test about vaping, along with the answer sheet. These can be valuable tools for parents who may be dealing with a teen who has started vaping. Many of our public schools are offering parent educational sessions about vaping as well. In a recent article on azcentral.com about the 2018 Arizona Youth Survey, Yavapai County Attorney Sheila Polk is quoted about e-cigarettes’ popularity offsetting the positive benefits from a drop in traditional cigarette use. “Decades of progress in getting our kids to stop using cigarettes has been undone in really two short years with the e-cigarette industry,” Polk said. Here at ICAN, we believe that further education is needed to combat this issue. Talk to the young people in your life about vaping and the potential negative side effects it can cause. As always, the Chandler Coalition on Youth Substance Abuse has incredible resources to support those conversations. Visit the CCYSA website for more details (ccysachandler.org).